1. 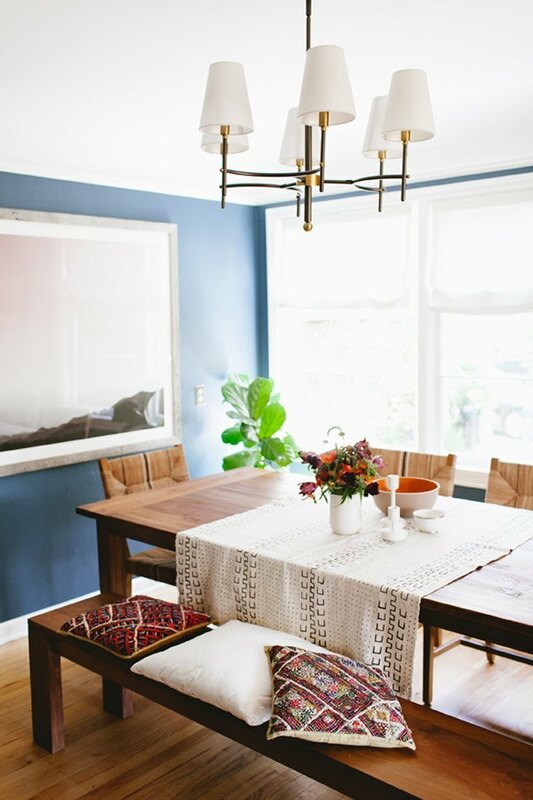 Invest in a statement chandelier. An eye-catching chandelier can make a major impact, both in terms of ambiance and visual value. 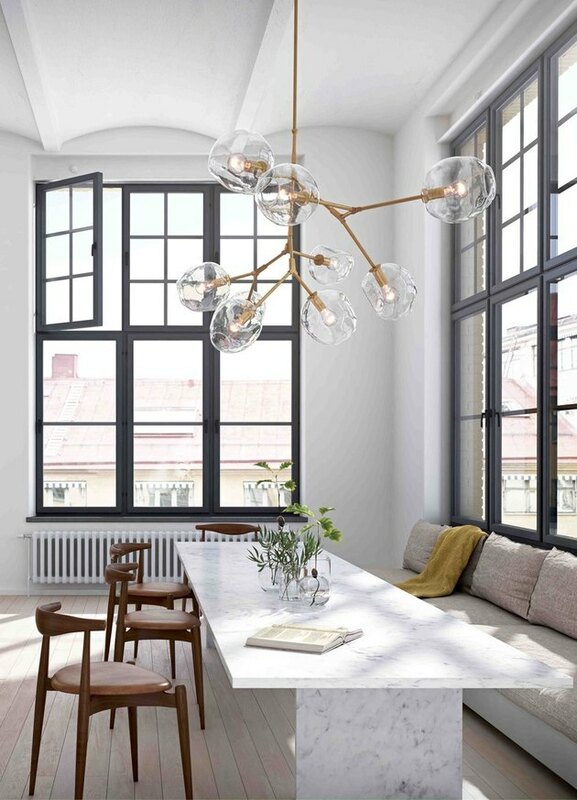 In this airy Swedish loft, the retro-meets-contemporary fixture ups the glam factor with glowing orbs, pleasing angles, and a gilded finish. 2. Opt for Scandi vibes. 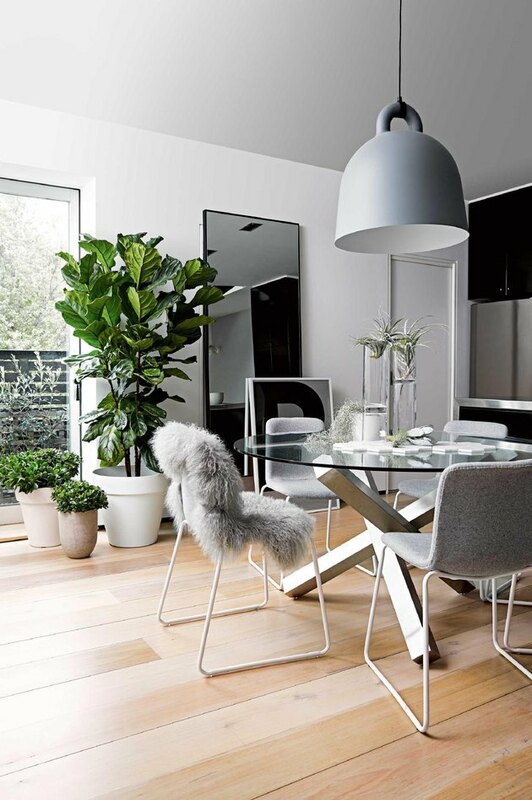 This streamlined space is dripping in Scandi sophistication thanks to a monochrome gray palette plus wood floors, potted plants, and a fur throw that radiates warmth. While the oversize pendant proves that playing with proportion — although a risky choice — when executed properly is incredibly captivating. 3. Get inspired by natural surroundings. 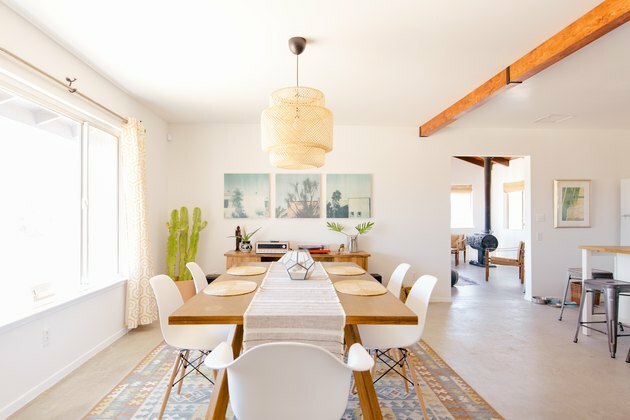 This Joshua Tree pad draws inspiration from its natural surroundings, weaving in rustic furniture and midcentury touches to create a peaceful desert escape with lots of Cali flair. The best part? You can actually rent it out on Airbnb and plan a dinner party IRL. It's no secret that we love the timeless appeal of a white dining room. 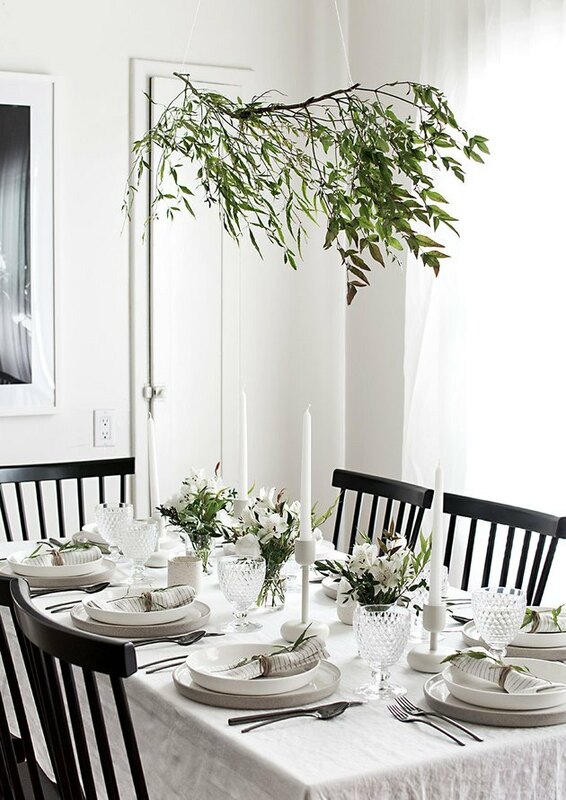 This stunning setup by Amy from Homey Oh My features sleek black chairs juxtaposed with fresh greenery and a modern, minimal tablescape — composed of crisp linens, gunmetal flatware, hobnail wine glasses, and artful candle holders. From the soothing hues to the sculpted furnishings, this adorable dinette captured by Janis Nicolay serves up Scandi realness in vibrant fashion. 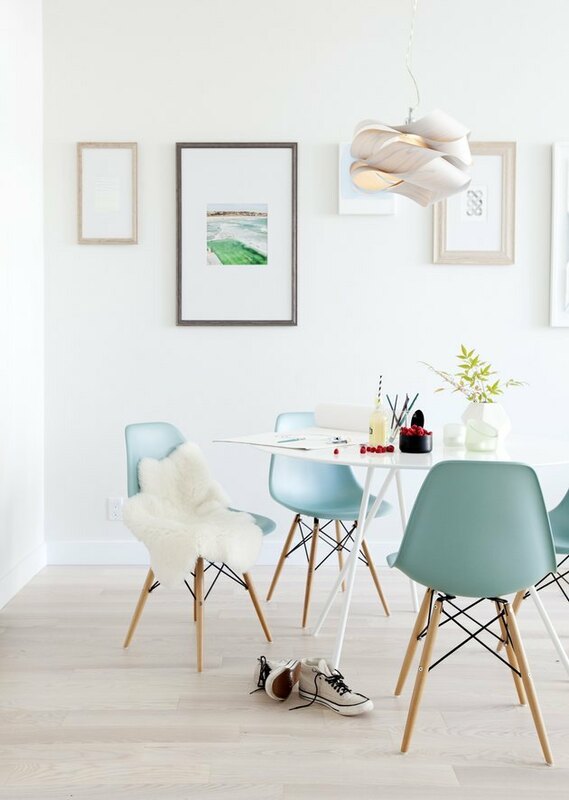 Splurge-worthy molded plastic chairs inject a pop of color that's echoed in the framed art prints. Seaside style isn't defined by nautical stripes and shell art. 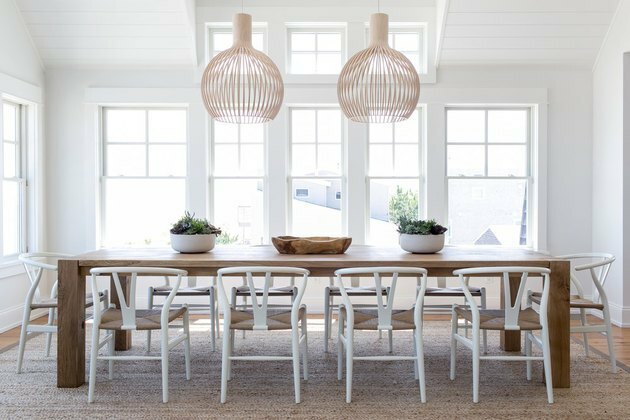 This waterfront retreat designed by Chango & Co. trades the expected for more understated accents such as a seagrass rug and a pair of intricate pendant lights. The result is a timeless interpretation of beach chic. 7. Paint the walls boho blue. 8. Take a minimally minded approach. Whereas your grandmother may have shuttered at the thought of blank walls, these days bare is beautiful. But that doesn't mean your space should be stark. 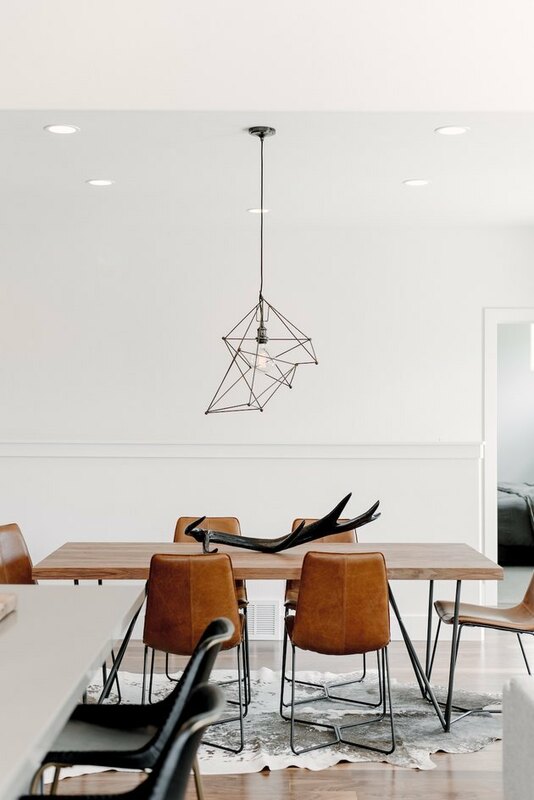 Leather upholstered dining chairs and a cowhide rug add tons of warmth and texture to this Utah loft, while the steel frame table lends an industrial edge. 9. Mix and match dining chairs. 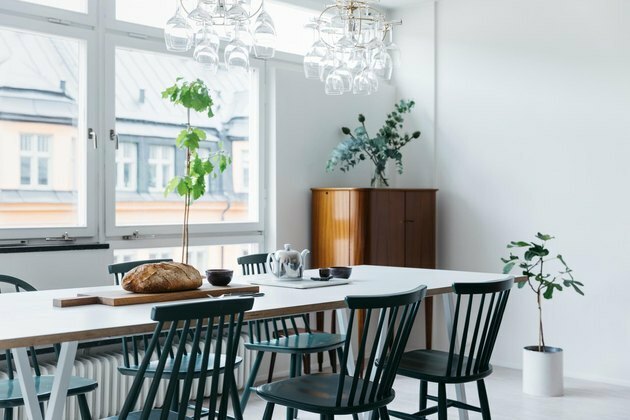 Refined yet relaxed, this whitewashed interior embraces the key concepts of Scandi design with clean lines and organic elements such as an abundance of mood-boosting plants. We especially love the gorgeous glass luminaries and the mismatched hunter green dining chairs. 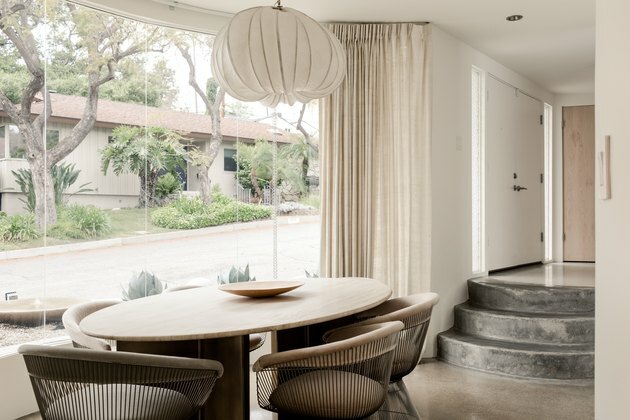 Character-rich architecture and vintage decor — such as the iconic Platner armchairs — shine in this 1960s-era midcentury gem. Floor-to-ceiling windows, white walls, and concrete floors set the stage for an ever-evolving lineup of dreamy, modern accents.